How to unpack GIMP distribution package without running a Windows installer? Per this post I've now been able to configure GIMP to run, on Windows, in portable fashion. In this case portable means install on a secondary drive so that the same instance of GIMP can be used on different computers and/or systems. 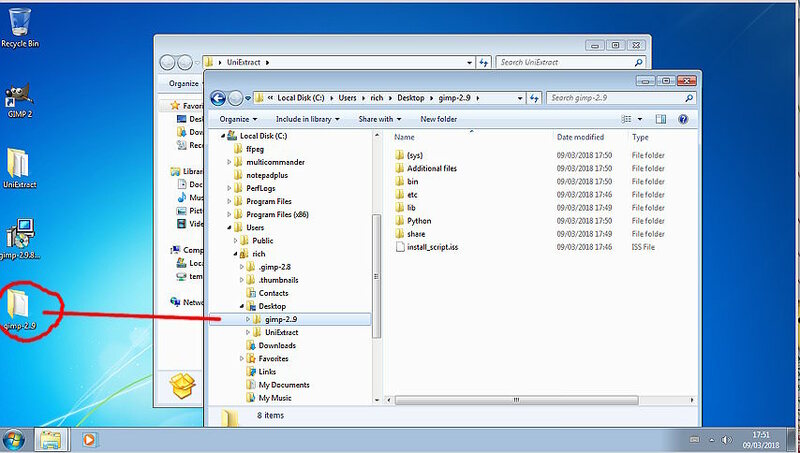 At present the method of unpacking the files from the normal GIMP distribution package involves running the installer which allows for placing the files on a secondary drive. However, installers are able to do other things that are NOT desired in this case. I have no idea what other things the GIMP installer might be doing but it would be better not to run the installer. 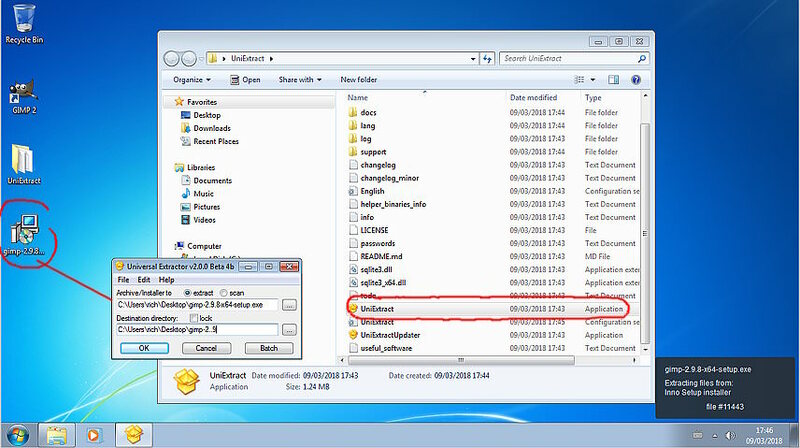 There is a tool that can be used for this purpose if the installer is created using Inno Setup. Another common approach is for the package to be distributed as an archive (e.g., .zip, .tar, etc.) that can be unpacked without running an installer. This works pretty good when installers don't need to make revisions to the underlying OS which is normally the case for software designed to run on multiple platforms (i.e., Windows, Linux, OSX, etc.). I'm guessing this should not be too difficult for GIMP. However, for right now the question is will InnoExtract work on existing GIMP distribution packages? This is not really suitable for General Questions, but we do not yet have a section for Obscure. I would not worry too much about Gimp and excess files and registry entries. Unlike a lot of pay-for applications mostly uninstaller information. There are utilities to monitor an installation. Installing Gimp 2.9.8 to a drive other than C: results in about 40 registry entries and a few temporary files. Unpacking Gimp 2.9 - a bit easier than Gimp 2.8 which contains both 32/64 bit versions. Unpacking not using the installer. Recommend UniExtract as a front-end to Inno. Still a lot of files - 11000+ not quite a straight gimp installation but can be sorted.